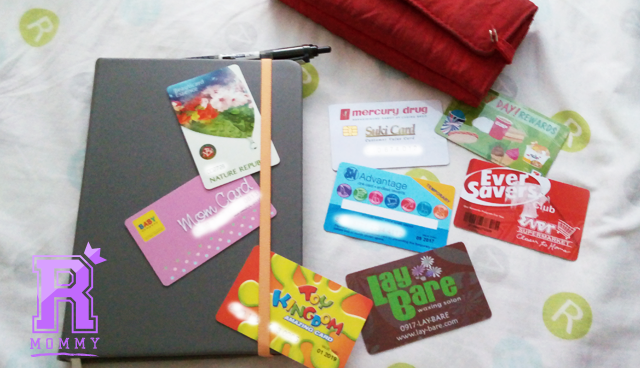 So, I was busy re-organizing my wallet this morning when I realized that I have so many membership / loyalty cards! I decided It might be helpful it I put the important ones out here. As far as I remembered, the only loyalty cards I have before getting married was the Lay Bare and Nature Republic card. Whew! I didn't realize up until now that I am officially became a loyalty card hoarder! Hah! 2. Lay Bare - I am a very hairy woman. Let's just leave it at that. Their loyalty card slashes off 10% of any services availed on their store. It doesn't apply on their products though. And you can only get them when you have spent about P5,000.00 on their services. Ask the receptionist on your next appointment. Do your kilay here whenever you can get that free time. 3. SM Advantage Card - I just recently acquired my temporary card. Everyone has this card, so better have it also. It saves you a lot of points from shopping for my groceries. I think the conversion rate is P1.00 for every P100.00 spent and you exchange it for some voucher when you want to. 4. Mercury Drug Suki Card - This has got to be my most fave card. We easily get sick and buy a lot of vitamins, and even sometimes, Arya's milk in any Mercury Drug store so I really use this card a lot. The conversion is P1.00 for every P100.00 spent and you can automatically use it at the cashier to get discount when you want to. 6. Ever Savers Club Card - An Ever supermarket recently opened a few steps away from our subdivision and I knew I had to get the card! You can get the card after spending P4,000.00 combined receipts. It works just like an SM Advantage Card as well. 7. Baby Company Mom Card - Trust me on this, this card is your most essential rewards card if you're a first time mom. Go get yourself one even after you get married! Conversion is P1.00 for every P100.00 spent. I have used this card to get discount so many times! 8. Toy Kingdom Membership Card - Now, if you have a toddler already. Get this card. No questions ask. We'll be able to use this through out our lifetime, I swear! Did I miss anything? Share whatever loyalty cards you have on your wallet on the comments below, too! Rookie Mommy PH - gotta love rewards! 1 comment on "8 Rewards card you need as a new mom"
I also tried these pills and I can say with believe that they worked out pretty well and were brilliant in resisting acne from my face. I do recommend these too.